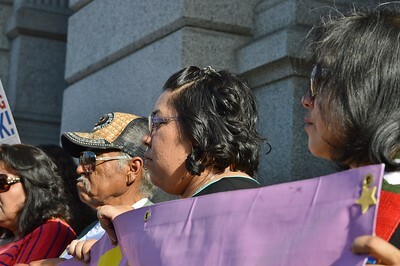 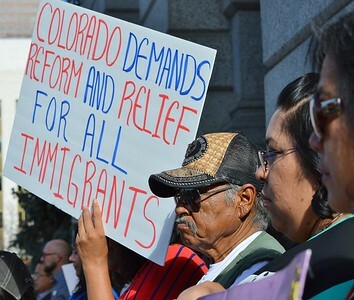 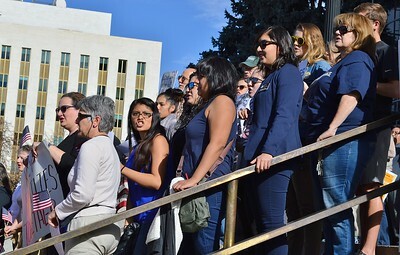 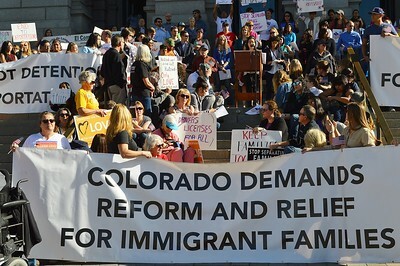 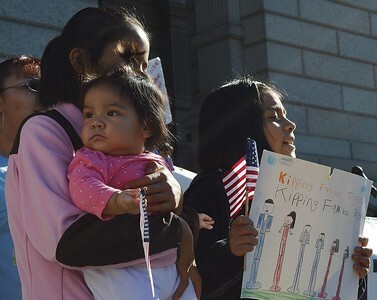 About 300 people rallied for immigrant rights and an end to deportations at the State Capitol in Denver, Co.
Large crowd standing on steps at immigrant rights rally, one woman speaking from podium, large banner in front of them..
Two young girls listening to speaker at rally for immigrant rights. 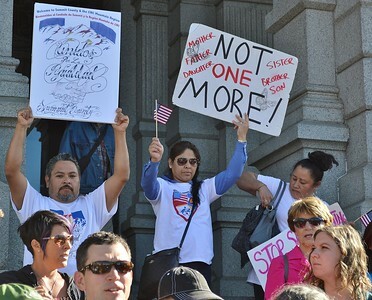 Group of people at immigration reform rally holding signs and American flags. 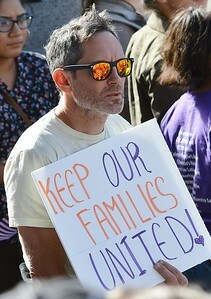 Man holding sign "Keep Oou Families Together" at immigrant rights rally. 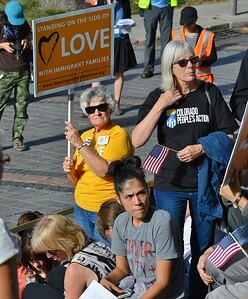 Three women at immigrant rights rally hold signs that read "Standing On the Side of Love". 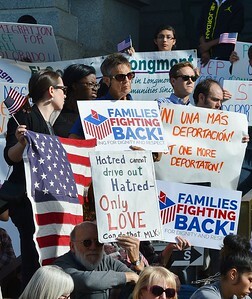 Demonstrators hold up signs at immigrant rights rally. 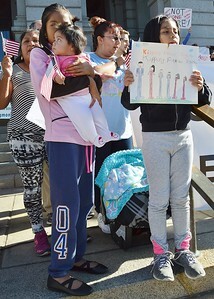 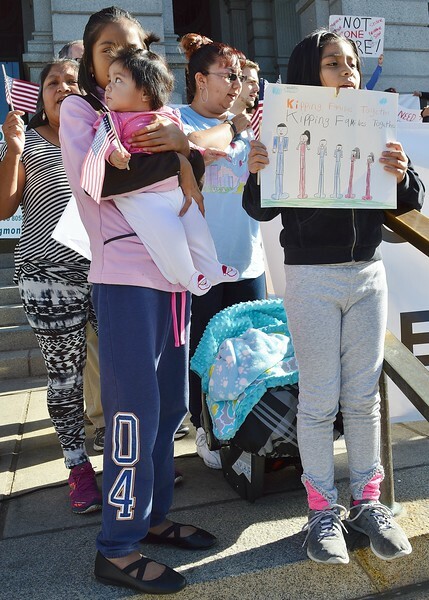 Young girl holding small child with American flag at immigrant rights rally. 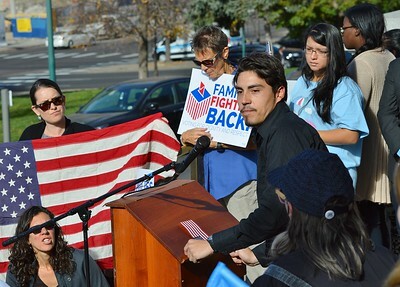 Young man holds American flag and sign against deportation at rally for immigrant rights. 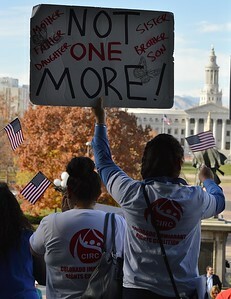 Demonstrators at immigrant rights rally. 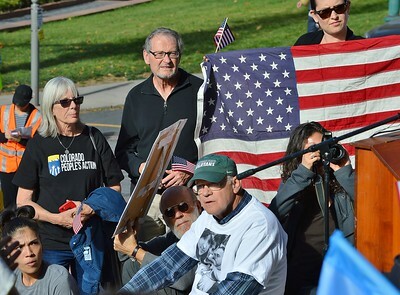 Three demonstrators listening to speaker at rally for immigrant rights. 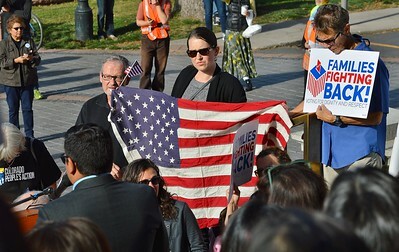 Woman holding large American flag listens to speaker at immigrant rights rally. 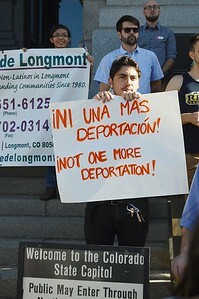 Young hispanic man holding anti-deportation sign at immigrant rights rally. 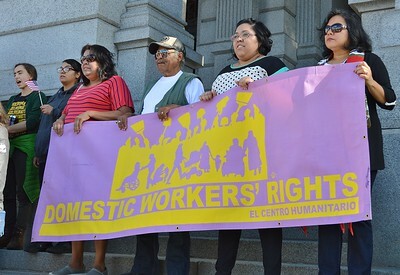 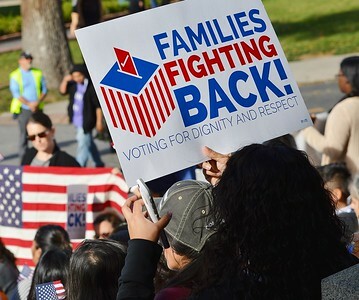 Group of domestic workers hold banner at rally for immigrant rights. 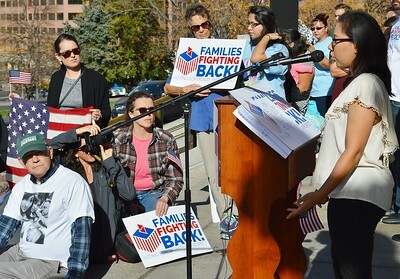 Young girl speaking from a podium at immigrant rights rally, other in front of her with signs. 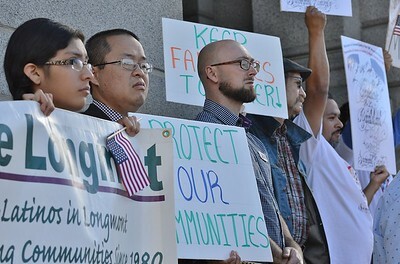 Line of demonstrators with signs at immigrant rights rally. 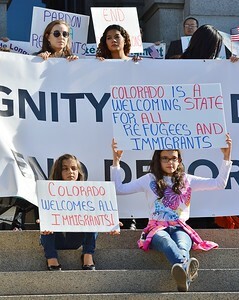 Two young girls sitting on steps with signs about immigrants and refugees, at immigrant rights rally. 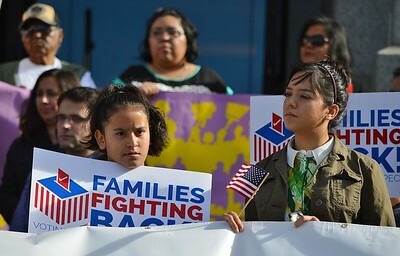 Woman hold sign "Families Fighting Back" at immigrant rights rally. 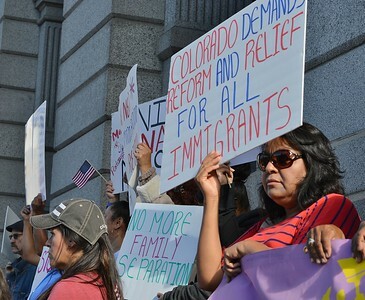 Woman holding American flag raises sign opposing deportations at immigrant rights rally, in background is Denver City/County Building. 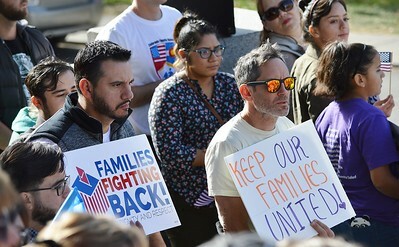 Woman hold sign for immigration law reform above her head at rally. 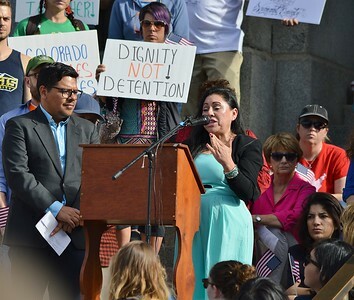 Hispanic woman gestures while speaking at rally for immigrant rights. 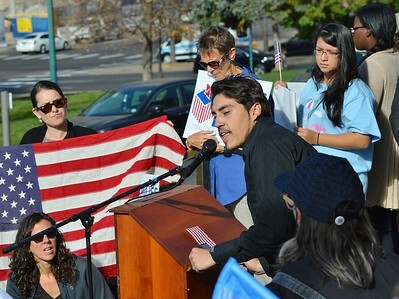 Young hispanic man speaking at a rally for immigrant rights in Denver. 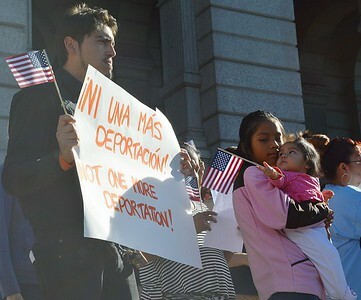 Demonstrators at immigrant rights rally holding up a large American flag. 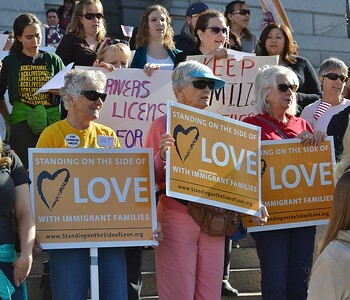 Group of women standing on steps at immigrant rights rally, one turning to camera while chanting. 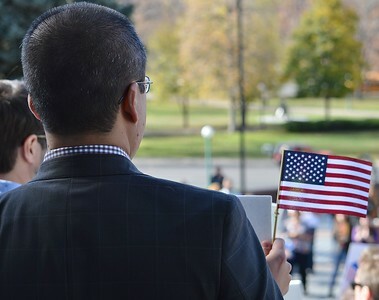 Man in suit holding small American flag at immigrant rights rally.